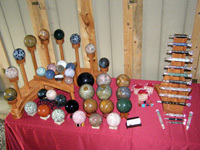 Home of one of a kind natural and semi-precious stone spheres and healing wands. 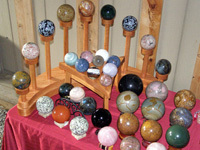 Each sphere and healing wand are handcrafted to create a unique item. None of the information contained on this site should be construed as a claim for use in the diagnosis, cure, treatment, or prevention of disease or any other medical condition. 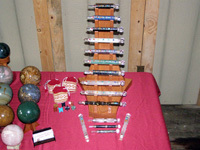 In dealing with any medical or mental health condition, always consult a physician or mental health professional.